Plant Environment: Full sun location. Is more tolerant of poorly drained sites than most other oaks. Is moderately drought tolerant once established. Plant Bloom: Small reddish brown acorns result from the inconspicuous spring blooms. 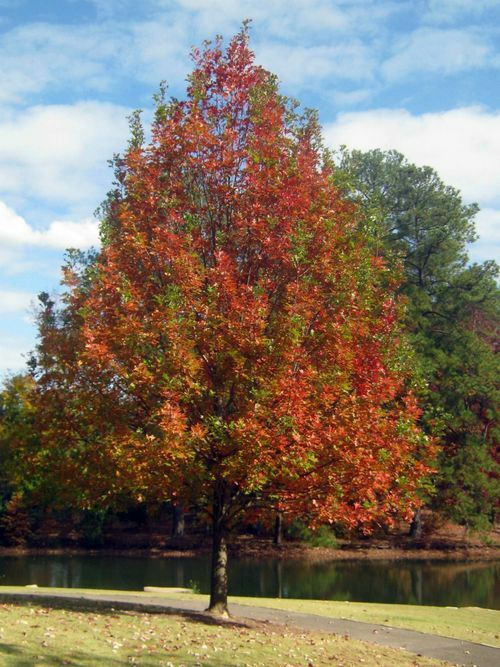 A moderately fast growing native oak species that is adaptable to a variety of soil conditions and displays nice red fall foliage. The growth habit is symmetrical with a rounded crown. Keep in mind the ultimate space requirements whenever you are planting a large maturing shade tree.